“Darkness cannot drive out darkness: only light can do that. Hate cannot drive out hate: only love can do that. I attended a workshop held by Glow in the Dark and I left the workshop very much inspired and encouraged by what the team has done. Not only were the speakers well-prepared and each had amazing stories of how they pursued their dreams despite the challenges they faced, they also provided practical steps of how we can help people with disabilities (PWDs). 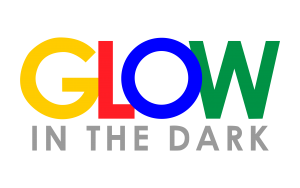 Glow in the Dark is doing a great job at raising awareness, educating the public, and providing a forum to discuss topics which are not openly discussed. I can definitely see this workshop being beneficial to employees of different settings - big corporates, non-profits, start ups, etc, and also just everyone in general. The workshop was a meaningful one that provided interesting insights on the lives and experiences of people with disabilities. It was definitely an eye-opening experience for me, and I would highly recommend! Great job to the team! Had the opportunity to attend a session here. Went with an open heart but came back with many heartfelt emotion. GITD has done an impressive job in promoting social inclusion. Keep up the good work! Got to attend a workshop by Glow in the Dark and was both humbled and inspired by the trainers' stories of how they overcame their challenges to pursue their dreams. I appreciate the courage and vulnerability they have shown through their sharing, as well as Glow in the Dark's efforts to provide them with such a platform to do so, and highly recommend that people attend Glow in the Dark's events if they haven't already had the opportunity to do so. Hearing about the various stories on how the speakers’ overcame their disabilities in pursuit of their dreams was really humbling and motivational. It was truly an inspiring and heartfelt session. It has been an amazing afternoon with GITD. Their stories and activities have impacted both the staff and students at Jiemin Primary in profound ways! We learnt that we are all the same though each of us has our own challenges to face, and nothing is too difficult to overcome as long as we do not give up! I'm always looking for charitable causes that are realistic, robust and create lasting good. It's a tall order but the Glow team of speakers and volunteers we met during the workshop have the calibre to make it work! Educational, inspirational and eye opening experience. Glow In The Dark is doing an amazing job of telling the stories of Persons with Disabilities in Singapore to promote community and inclusion. Every time I attend the workshop I learn something new and I highly recommend it. I would definitely recommend this workshop to everyone. The workshop conducted by GITD Singapore is so interesting and inspiring. I learned how to be empathetic towards others and how to remain optimistic in the face of adversity. DO YOU WANT TO FIND OUT MORE OR VOLUNTEER WITH US? His students asked him, “Teacher, who sinned, this man or his parents, that he was born blind?”. “Neither this man nor his parents sinned,” said the teacher, “but this happened so that the works of God might be displayed in him.